"Prepare for an epic adventure set in a mysterious and magical world of fantasy. See if you got what it takes to be the bravest warrior of them all!" When you are one of the biggest names in the online gambling industry, you set high expectations from your releases, which sometimes may be difficult. But that's not the case with Isle of Man-based Microgaming whose releases are known to raise the standards and push boundaries. Launched in May 2017, Forbidden Throne draws inspirations from one of the most popular genres in recent years. 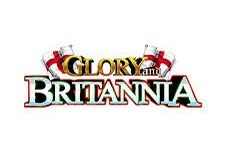 Epic fantasy has been a theme of many books, movies and video games, captivating huge armies of fans around the world. 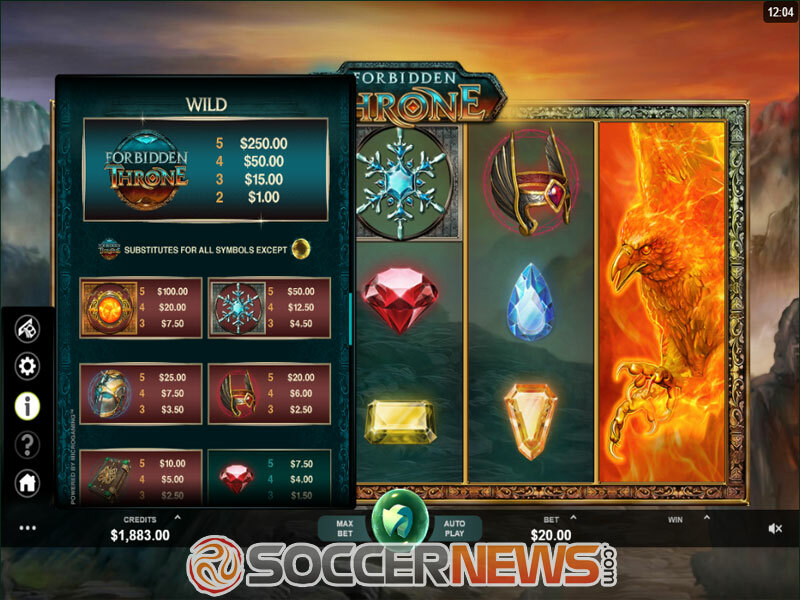 This 5-reel video slot with 40 paylines will take you to a mysterious world, inhabited by fantastic beings, filled with magic and the unknown. From the first moment you step into this enchanted world, you'll be mesmerized by its scenery, with the soundtrack fit for a magic adventure. Top-notch graphics and crisp animations are something we're used to when it comes to Microgaming, but nevertheless, they make the entire experience complete. 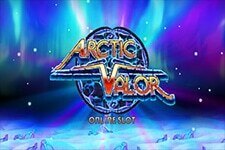 Prepare for an epic journey, while Wild Reels, Free Spins, Wilds and Scatters will make sure your bravery is worthwhile. The size of your wager will depend on your style of play and since this is a medium variance title – with an RTP of 96.01% – it will equally be appealing to both casual players and high rollers. The coin denomination ranges from $0.01 to $0.50 with 10 different bet levels. 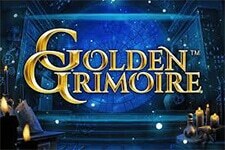 You can bet as low as $0.40 or try your luck by placing the maximum stake of $200 per spin. Game's low-value symbols are differently coloured gems, while the top-paying ones include amulets, helmets, crowns, spell books, the sorceress, dark elf, castle, phoenix and unicorn. The Forbidden Throne logo is a stackable Wild. 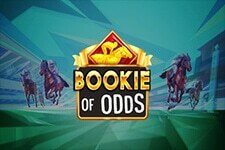 To start receiving payouts, you'll need to land at least three of a kind in succession on a payline left to right except when it comes to the Wild. Only two Wilds are enough to get paid. 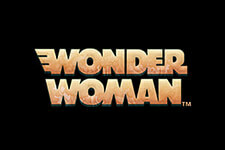 The game logo stands for Wild, substituting for all other symbols except Scatter. Land a minimum of three Scatters to trigger the Free Spin feature. 3 Scatters will give you 10 spins, while 4 and 5 will reward you with 20 and 30 spins respectively. The feature can be retriggered the same way it was activated in the first place. The Wild Reels feature takes the action to a whole new level. 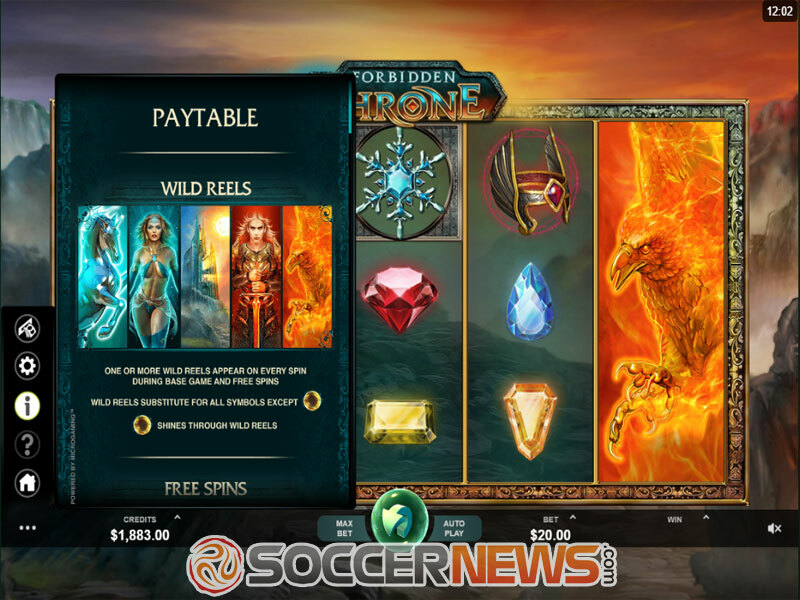 One or more Wild Reels can appear on every spin during the Main Game and Free Spins. It is important to mention that Wild Reels can also substitute for all symbols except Scatter, but most importantly, they can be extremely lucrative, potentially increasing payouts by 500 times. 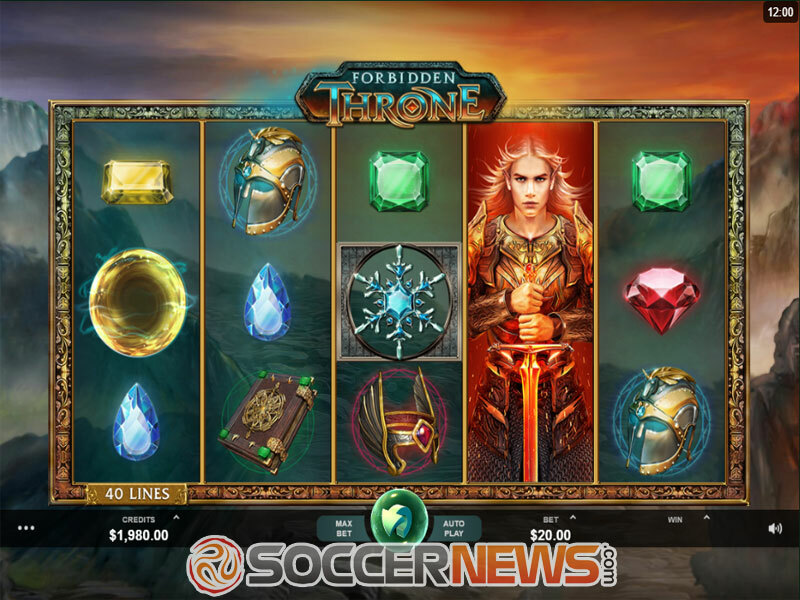 Find Forbidden Throne at any of Microgaming casinos. Place your wager and hit the Spin button to start playing. 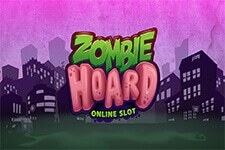 Land a minimum of three Scatters to trigger the Free Spins round. "Once again Microgaming shows why it's among the leaders in the business. This fresh release offers action-packed gameplay with high-quality graphics and animations, but most importantly, it brings plenty of opportunities to grab rewarding winnings. Be sure to check it out, because it will keep you seated for hours. Or at least until you run out of money."